Identity fraud is on the rise. Every two seconds, another American becomes a victim of identity fraud. 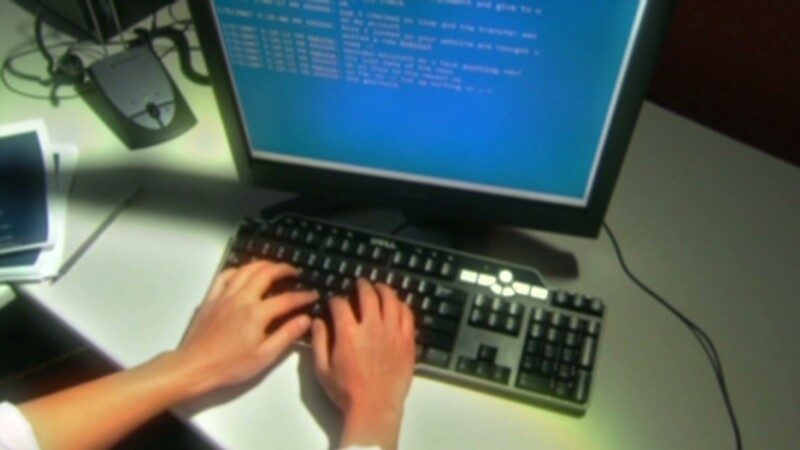 The number of identity fraud victims jumped to 13.1 million in 2013, a new report from Javelin Strategy & Research finds. That's an increase of 500,000 from 2012 and the second highest number of victims since Javelin began conducting its annual study in 2004. Identity fraud occurs when someone's personal information is used to access money, while identity theft is when personal information is accessed, even if it isn't used for financial gain. Data breaches were one of the main sources of fraud last year, with one in three people who received notifications of a data breach discovering their identities were used for fraudulent means, Javelin found. While much of the fallout from the most recent data breaches at Target (TGT) and Neiman Marcus will likely be felt this year and be reflected in a future report, security attacks like these have been growing in size over the past year and occurring at bigger retailers, says Al Pascual, senior analyst of security, risk and fraud at Javelin. "[R]ather than a large number of smaller breaches as was more common in the past ... we are now seeing larger retailers being targeted on a much more consistent basis," said Pascual. Even scarier, criminals are becoming more adept at using the information they obtain from data breaches to take over consumers' financial accounts entirely. About 46% of consumers whose card information was accessed through a data breach became victims of fraud that same year, and account takeovers made up 28% of overall identity theft losses -- a new record. Other kinds of fraud, including compromised PayPal or eBay accounts and other online accounts, also increased -- with the number of victims of this type of fraud nearly tripling last year. The only good news is that we're getting better at preventing and catching fraud once it occurs. 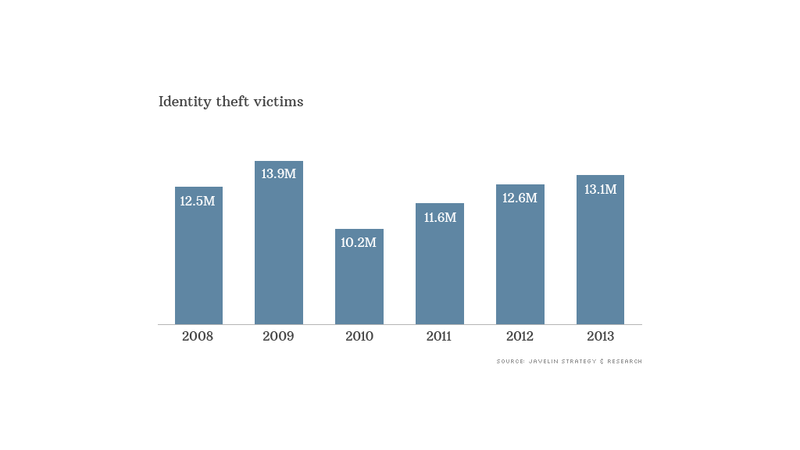 Last year, fraudsters stole $18 billion from consumers -- down from the $21 billion taken in 2012. This decline can be attributed to "more aggressive actions from financial institutions, identity theft protection providers and consumers," Javelin said. To protect yourself from fraud, create strong passwords and lock electronic devices like computers and cell phones, change your passwords frequently, monitor your bank accounts and credit card statements regularly, shred personal documents, install security software on your computer and phone and avoid public Wi-Fi connections, Javelin recommends. If you notice suspicious activity, contact your financial institution immediately -- the sooner you do, the better chance you have of getting your money back. If you receive a data breach notification, place a fraud alert on your credit report so that lenders take extra precautions to make sure anyone applying for credit under your name is actually you. And take advantage of any free credit monitoring service you're offered from a retailer that was hit with a data breach. Target, for example, is offering impacted customers free credit monitoring for one year, and recently extended the offer to all customers.